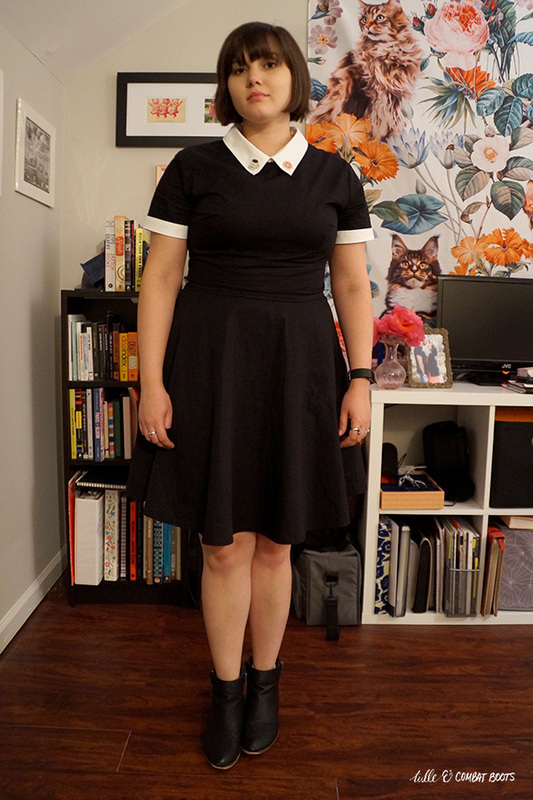 Tulle & Combat Boots: the perfect collared dress. Happy Friday & happy December, friends! Time for another outfit that I'm going to be rewearing a lot. 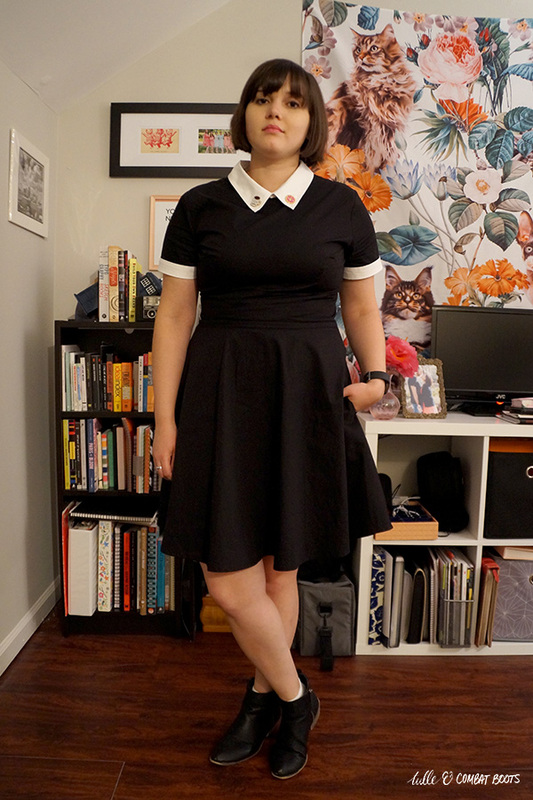 I've been in love with anything with a collar (mostly so I have a place to put enamel pins), and I'm constantly on the hunt for a good black dress with a white collar. 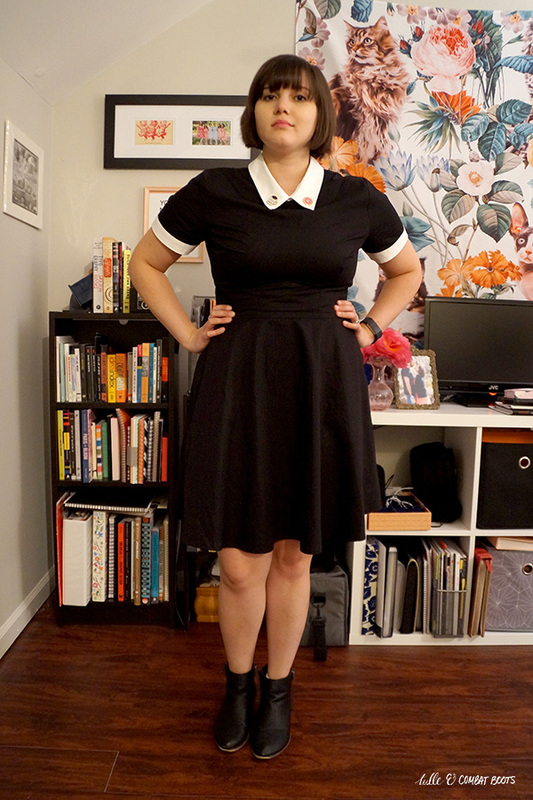 EShakti delivered with this beauty. This dress is a nice cotton poplin so it's comfortable to wear (only downside is it requires ironing after washing), and not too tight in the sleeves. It is a bit fitted, so that makes it look professionalish. 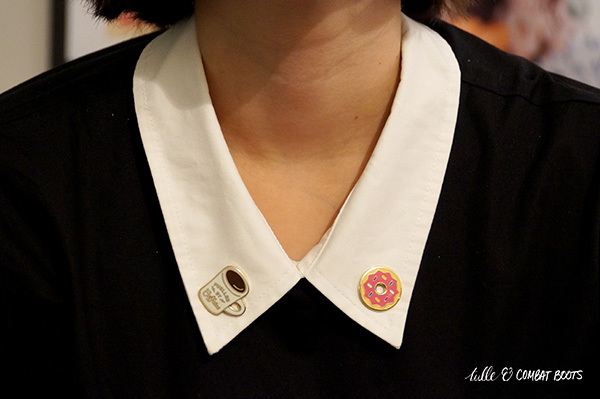 I decided for the pins that coffee & a donut would be appropriate. Having a collar for pins also spices up the dress a bit.